April 09, 2019 — GREENWOOD VILLAGE, Colo.–(BUSINESS WIRE)–Empower Retirement is targeting the broad financial needs of American workers through a new student debt solution focused on both helping workers pay down debt and their employers who may want to help out. Approximately 45 million Americans carry some form of student loan debt to pay for their own education, or for that of a family member1. In aggregate the total student loan debt is more than $1.5 trillion2 across the U.S. More than 80 percent of American workers paying down student loan debt say they put off other financial goals with 50 percent of them saying the top item they sacrifice is saving for retirement3. 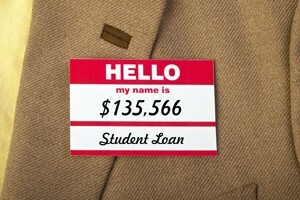 To help make decisions around student loan repayments, Empower is partnering with CommonBond for BusinessTM – the enterprise student loan benefits platform from CommonBond, Inc., a leading financial technology company in the higher education space – in an effort to create an integrated retirement and debt management solution using technologies from both firms. Employers — who are increasingly recognizing the value of benefit programs designed to help with student loan repayment 4 — can also benefit from the new Empower offering. Empower will offer a turnkey solution that enables employers to make direct payments to their employees’ student loans or to their retirement plans. “Next dollar”evaluation: Employees who are carrying student loan debt have access to a user-friendly evaluation tool that provides guidance and recommends action steps. The system makes a recommendation on how individuals can utilize the ‘next dollar’ available. Loan analysis: Depending on the student’s existing loan portfolio, CommonBond provides employees with individualized information about loan forgiveness programs and other options, such as refinancing. Student loan or retirement plan contribution: Employers will have the ability to make payments directly to employees’ student loan payments or to their retirement savings plan. Headquartered in metro Denver, Empower Retirement administers $610 billion in assets for more than 9.1 million retirement plan participants, as of March 31, 2019. It is the nation’s second-largest retirement plan record keeper by total participants (Pensions & Investments, April 2018). Empower serves all segments of the employer-sponsored retirement plan market: government 457 plans; small, midsize and large corporate 401 (k) clients; non-profit 403 (b) entities; private-label recordkeeping clients; and Individual Retirement Account customers. For more information please visit Empower-retirement.com. CommonBond is a financial technology company on a mission to give students and graduates more affordable, transparent, and simple ways to pay for higher education. The company offers refinance loans to college graduates, new loans to current students, and a suite of student loan repayment benefits to employees through its CommonBond for BusinessTM program. By designing a better student loan experience that combines advanced technology with competitive rates and award-winning customer service, CommonBond has funded over $2.5 billion in loans, partnered with over 300 corporate clients, and currently serves over 100,000 members. CommonBond is also the first and only finance company with a “one-for-one” social mission: for every loan it funds, CommonBond also funds the education of a child in need, through its partnership with Pencils of Promise. For more information, visit commonbond.co. 4. The Employee Benefit Research Institute Dec. 6, 2018 brief.